You want to support the local economy and you do your best to eat healthy, sustainable food, but who wants to sacrifice those precious few hours of sleep on a Saturday morning to rush to the farmer’s market? Eating local produce offers countless benefits, but it’s not always convenient to buy. We’ve created an app for Locally Grown, a service connecting a group of small farms and gardeners around Athens to offer delicious, seasonal produce. Choose from the weekly produce options and have it delivered just a few days later. Locally Grown: building a community around fresh, sustainable, local food. 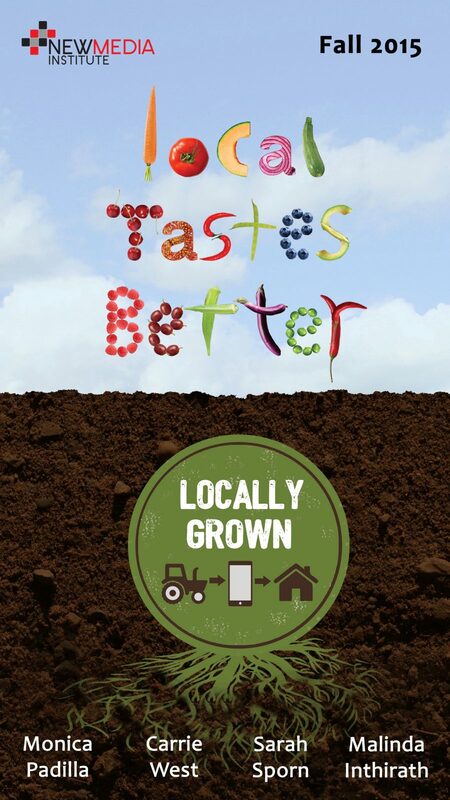 The Locally Grown app simplifies the way you purchase local food. The available produce will be updated weekly, and be organized by type for easy navigation. Users can add their choices to a shopping cart, and pay for their purchases through the app. In addition to making your life easier, we want to connect our users with the community of farmers in our area. Users will be able to share photos and discuss the local food they’ve purchased through the community forum. Our weekly features will announce community events, highlight local farmers and share seasonal recipes. This application will be made using Swift, and we’ve created a website to promote our app as well as provide more information on the benefits of eating local.